LONGboard 61, Digital Synth from E-MU. E-MU® Systems has announced that its new E-MU LONGboard 61 and SHORTboard 49 keyboards are now shipping. These completely new instruments combine great feeling 61-note or 49-note MIDI controller keyboards with a 128-voice professional sample-based instrument with 32-bit effects and a world-class 64MB sound set. 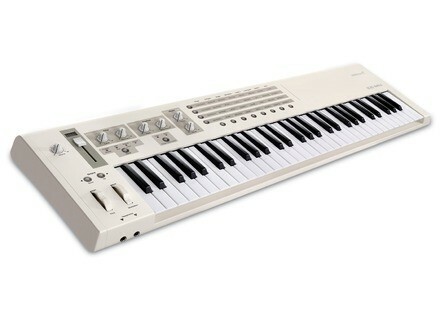 Full-size professional keys with aftertouch. The LONGboard 61 and SHORTboard 49 are expressive performance instruments with high-quality synth-action keybeds. [NAMM] Doepfer Dark Time This is still not completely official, but this rendering of a hardware sequencer by Doepfer, called "Dark Time." Soundprovocation Holiday Gifts Soundprovocation is offering discounts up to 50 % plus free extras for its customers until January 15. Roland Ships the SP-404SX Roland Corporation is pleased to announce general availability of the SP-404SX Portable Sampler.